LET age not weary them, nor the years condemn. In this instance we are talking trucks, lots of trucks. 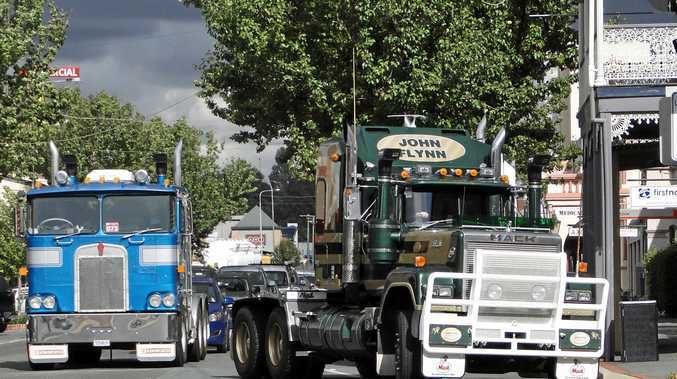 Around 300 old bangers - and I use the term with reverence - descended on Camden, just south of Sydney, to relive the glory days, traversing as much of the old Hume Highway as exists from Sydney to Yass. 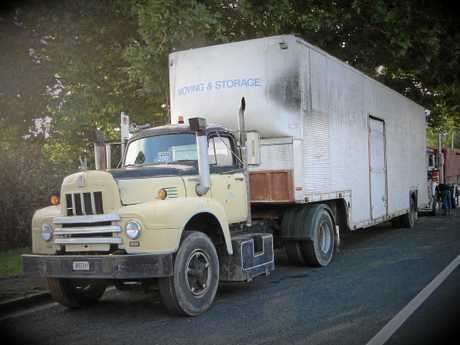 They came from all directions to gather and swap yarns of days gone by, when the roads were narrow, when you'd pick a food stop by the number of trucks parked outside, when a breakdown was met by numerous offers of help and when mateship beat the hell out of schedules. We arrived and registered with chief cook and bottle washer Bruce Gunter who, as always, had done a sterling job of organising the run. The weather was unkind this year, giving those gathered at Camden a drenching but, hey, these blokes and their gear are made of stern stuff and a little downpour was not going to put a dampener on catching up with old mates and new. After a sterling meal for a meagre tenner, folk gathered in groups to reminisce or talk of their pride and joy. Someone regaled his audience with tales tall and true of life on the road. Everywhere there was camaraderie. The weather had abated somewhat by morn and we headed off in a straggly line to relive Highway 31. In and out of long- forgotten towns and truck stops, some would stop and gather at places of special personal significance. Oh, and the trucks: Every make and model of every truck you could think of was represented from the 1920s on. The sounds and the smells were enough to make an old truckie weep. 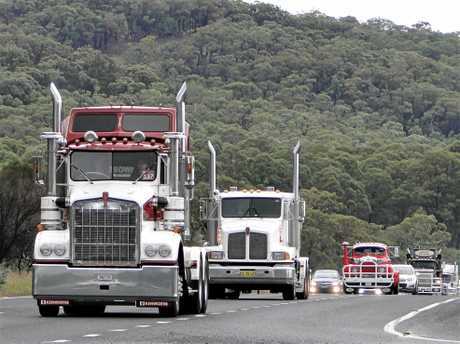 There is something intangible about Haulin' the Hume (and its sister run, Crawlin' the Hume out of Melbourne every other year) that sets it apart from any other trucking get together. Maybe it's the public who wave madly all along the route, inciting you to honk the horn. Maybe it's remembering the old slog down Highway 31 in a much fonder light. Whatever it is, everyone should do it at least once. If you don't have a truck, hitch a ride. One things for sure, you'll be welcomed with open arms and open hearts.